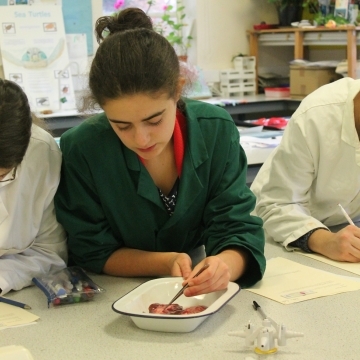 How to change a tyre, creating a gourmet feast for under a fiver and staying safe on a night out were just some of the hands-on activities on offer last Friday as Truro High School’s Sixth Formers took part in a series of interactive workshops to prepare for life beyond the classroom. 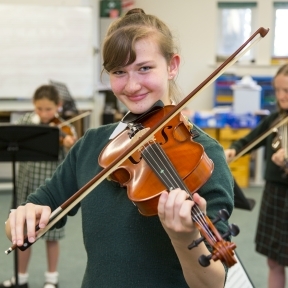 10-year-old Truro High pupil Victoria is celebrating this week having achieved her Grade 4 ABRSM Violin qualification way ahead of schedule. Christmas came early for Devon and Cornwall's top independent school last week as students, parents and staff saw their school hall transformed into a traditional German-style Christmas Market. Truro High School's Year 8 & 9 sportswomen are jumping for joy having made it through to the regional finals of the under 14 PSP netball tournament this weekend. Truro High School is delighted to announce the launch of its Swim Squad – an exciting new venture led by Cornwall’s leading swim coaches, starting in January 2019. 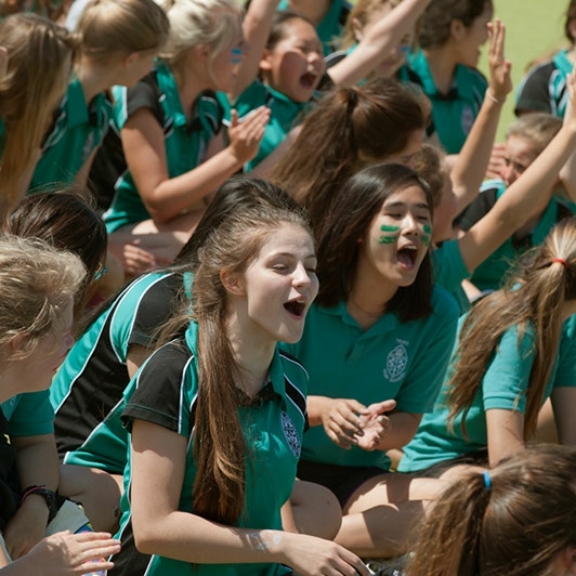 Truro High School’s under 16 hockey squad is celebrating this week having qualified for the second round of the West of England Regional Finals. A 16-year-old Truro High student has stormed to victory in one of the UK’s most gruelling tests of endurance, the 10K Royal Marines 2018 Commando Challenge. Truro High turned all shades of pink today in aid of Breast Cancer Now's annual fundraiser, wear it pink. 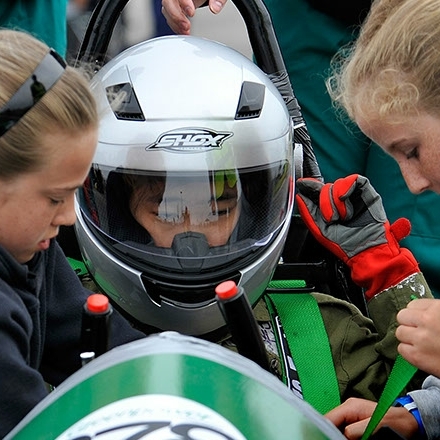 The Cambridge Professor who has been using his F1 expertise for British Cycling sped into Truro High School for Girls this week to launch its bespoke engineering programme with a one-off evening lecture. Truro High School’s Greenpower engineers ended the racing season in style at Rockingham Motor Speedway International Finals finishing with two places in the top 100 rankings and even a special award.